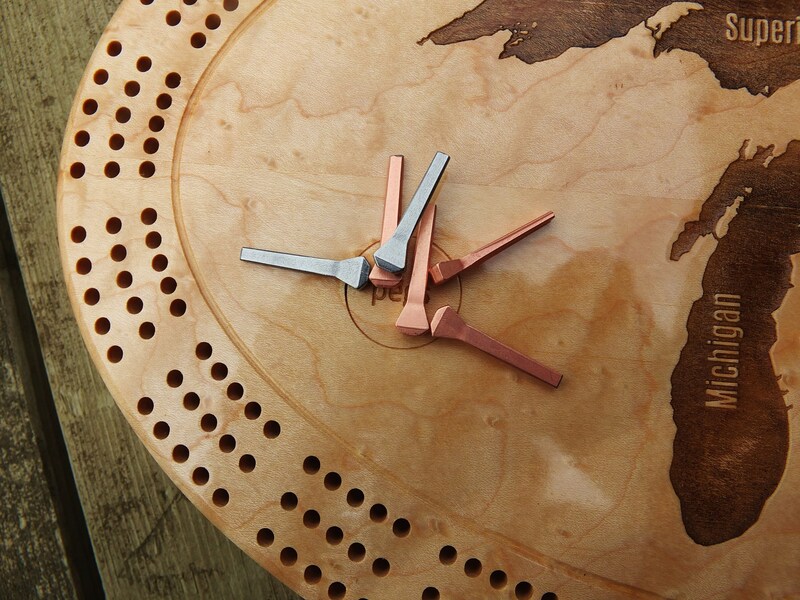 Beautiful cribbage board with pegs, crafted from solid maple. 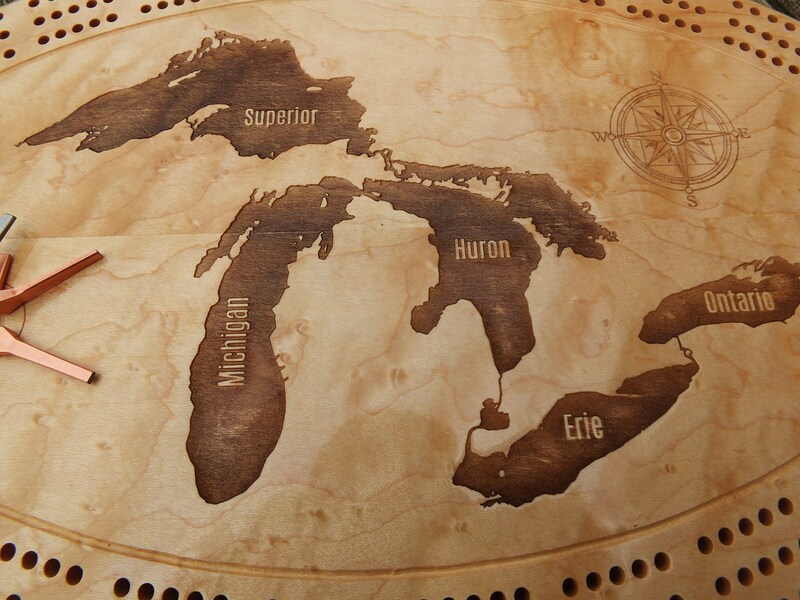 Engraved with the Great Lakes, but we can engrave any non-copyrighted, high resolution image. Look at our other engraved designs or send your own image! Order with engraving on front only, or have engraving on the front and additional text on the back for just a bit more. 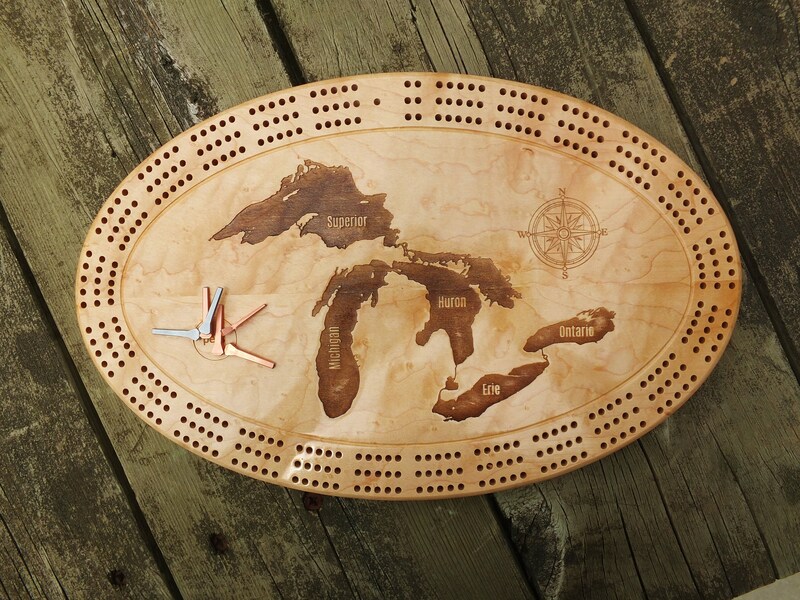 This is a great option for sending a personalized message to the recipient of this beautiful cribbage board. Comes with six metal pegs. We embed a rare earth magnet in this cribbage board which holds the pegs on the surface of the board when not in use--no more lost pegs! 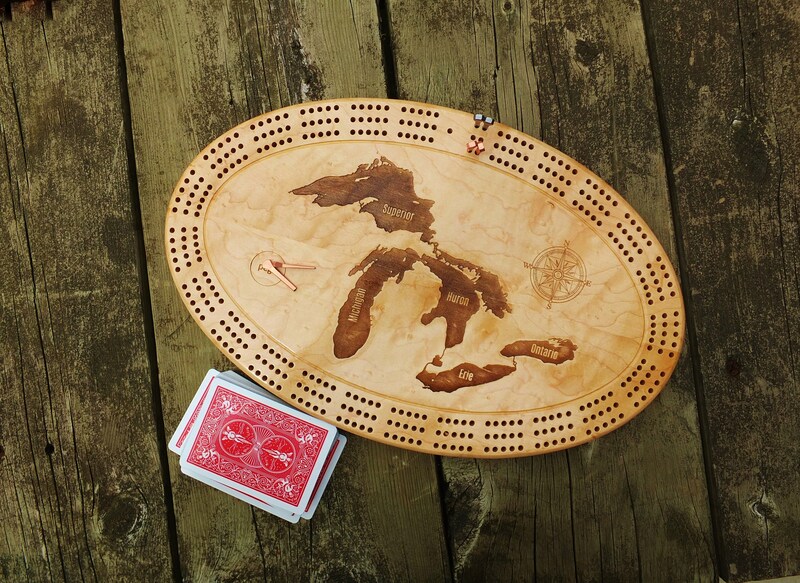 Our cribbage board is progressively sanded to bring out the beauty of this unusual wood, then sprayed with a furniture quality finish. We include a storage bag for your convenience. PERSONALIZE IT! In addition to an image, we can include names, dates or other text. Include text in the Note to Seller field as you check out. We will engrave on the end with the curved track. Size: approximately 13 3/4" x 8 3/4" x 3/4". We use a laser engraver to create our products. The carving on our boards is distinct, caused by the contrast betwwen the engraved surface and natural wood color. We use only North American hardwoods, preferring to source our materials locally.